The activity « Commenting on art » lends more weight to the visitor’s voice than a few lines in the guest book. After several visits the invited group expresses reactions, questions and ideas surrounding an exhibit through words, images or sounds , to share with the rest of the public. These different perspectives enrich museum visits for everyone. 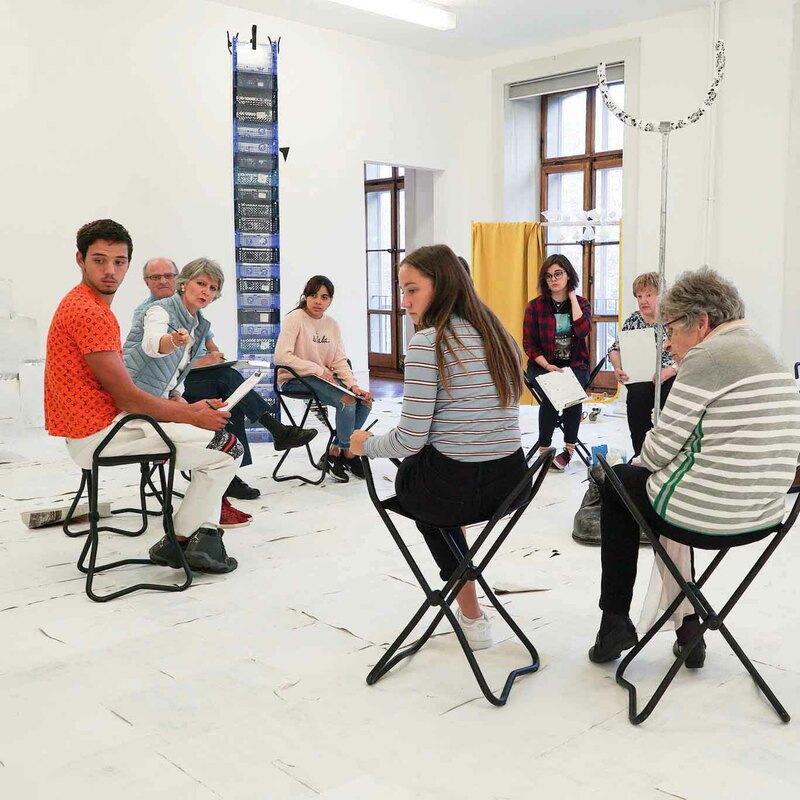 In 2019 « Commenting on art » invites the Hearing Impaired to an exchange on the exhibition MELANIE MANCHOT – Open Stage. Back Stage. The result of the project will be displayed from may 19th 2019 as an enriching addition to the exhibition. 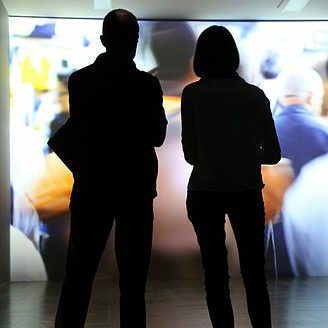 « Making art » offers individuals, but also groups, the opportunity to experience an exhibit from a practical point of view, by experimenting with and learning about an artistic technique. Visiting an exhibit will be enhanced by a practical activity, involving the senses. Thus, different facets of the artistic experience are introduced and the visit becomes a memorable event, also for those who might feel hesitant about engaging with contemporary art. 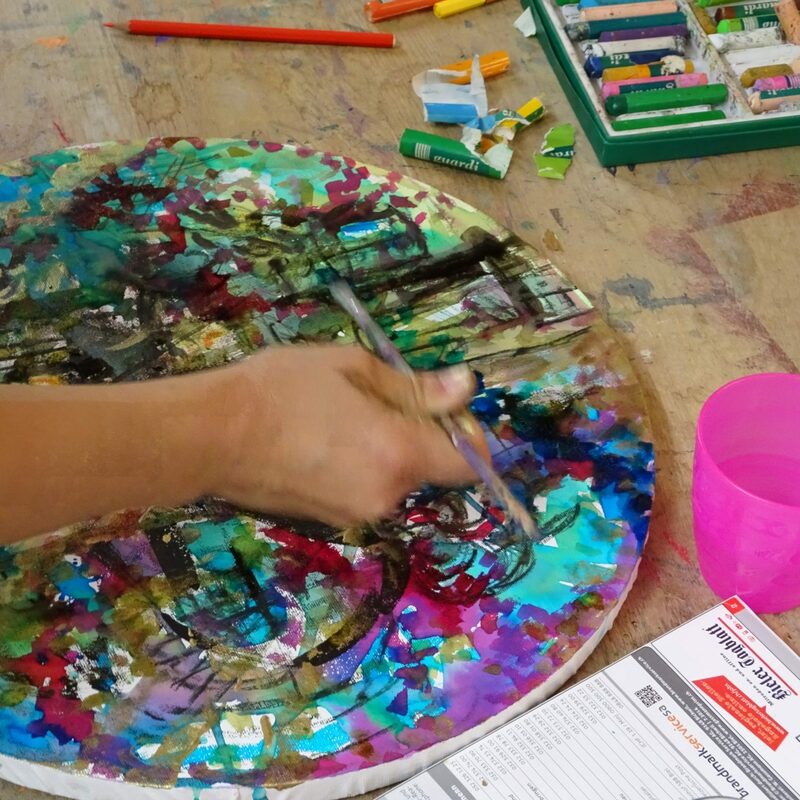 A workshop in german and french for adults took place within the exhibition Kemang Wa Lehulere. Techniques: chalk, scraperboard and further black and white techniques (no previous experience required). 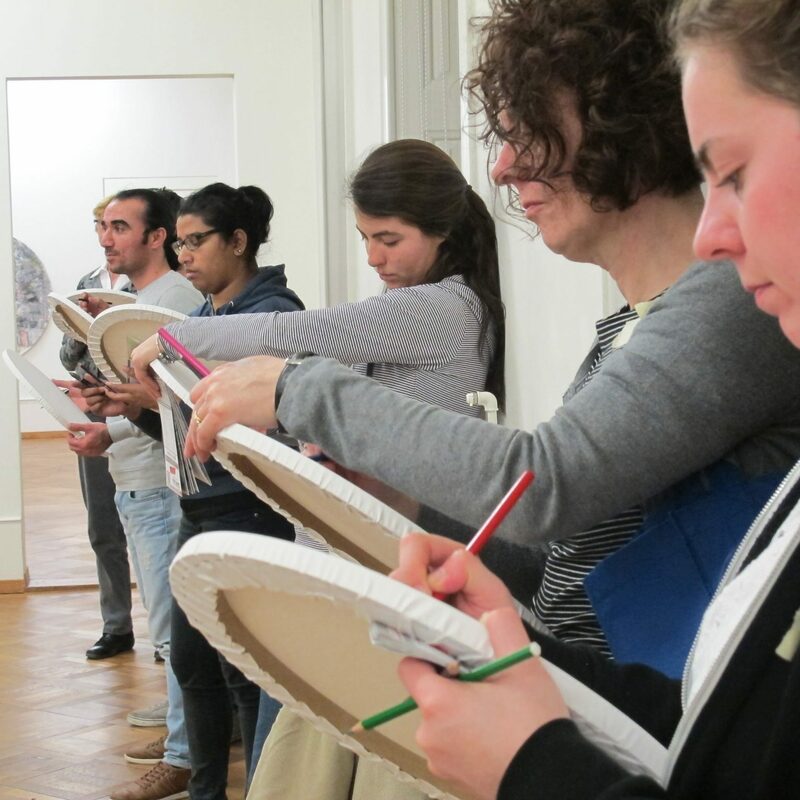 The offer to book the course “Making art” for your group on a date of your choice existed from 03 Feb to 01 April 2018; possible from Monday to Sunday equally outside the regular opening hours. 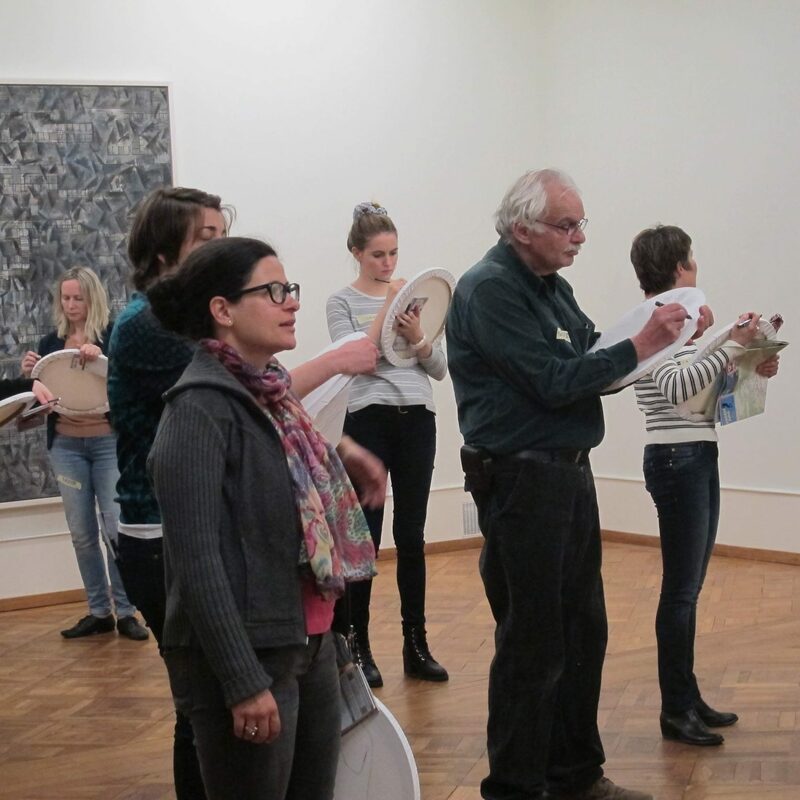 Groups of every kind can at any time book tours and workshops that explore the Art Centre. 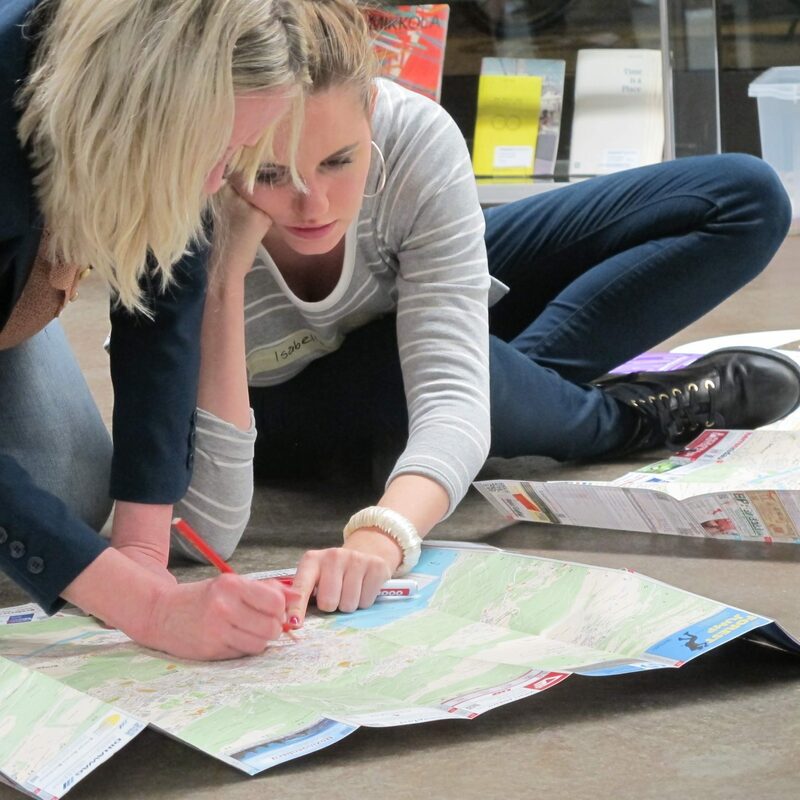 There is a choice of different workshops permanently available, while we are happy to respond to your individual requests and needs, depending on the exhibition. 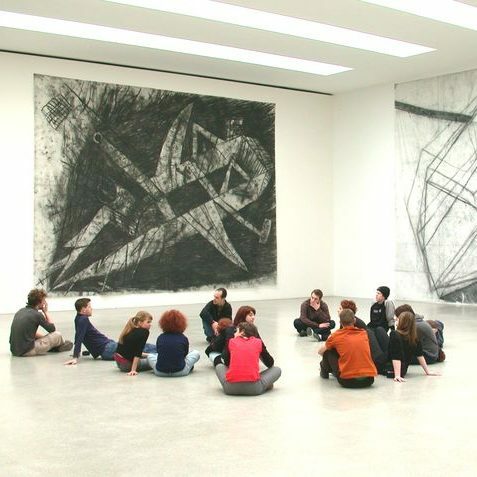 Accompanied by an art historian or the Art Centre Director personally, you are given in an hour-long tour an overview of the current exhibitions. Supported by background information our observation of the work opens new ways of looking at individual pieces and enriches your experience of art. A unique opportunity to meet the exhibiting artists personally and, through listening to and talking with them, to see their art in a new light. Readings, concerts, dance performances and other cultural events enrich the exhibitions programme of visual art in the Art Centre Pasquart.